Martin Van Buren Awards Honors Columbia County Community Leaders. Hudson, New York - A sold out crowd of Columbia County Democrats gathered at Club Helsinki to celebrate the 6th annual Martin Van Buren Awards Dinner. 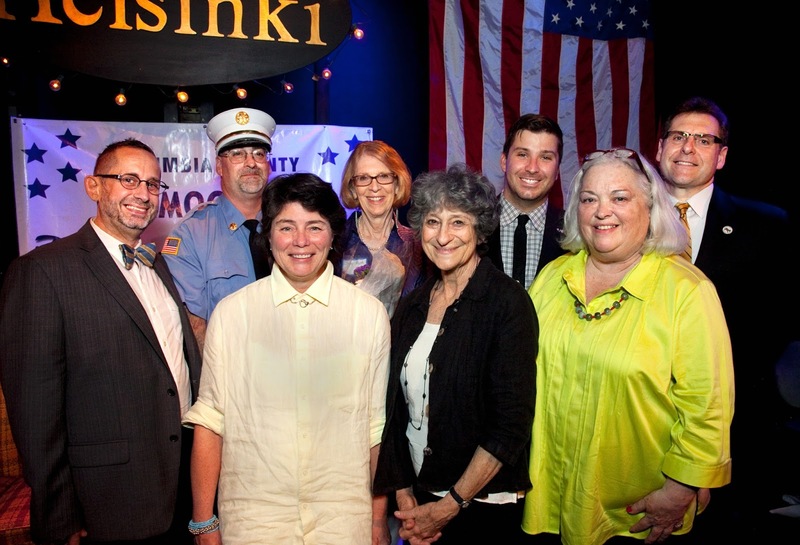 Each year the County Democratic Committee honors members of the committee and community for outstanding work which upholds the principles of the Democratic Party. The honorees this year are Brenda Adams, Democratic Chair for the Town of Canaan and Executive Director of Habitat for Humanity; Aaron Enfield was honored for his work on the Marriage Equality Act; Chief, Jim Cesternino accepted an award to the West Ghent Fire Company for service to the community and Judy Grunberg was honored for her many acts of community service and her generosity to Democrats.